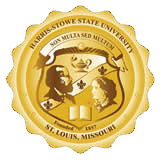 8-Ball is most popular at Harris-Stowe State University. The ultimate object of the game is to legally pocket the eight ball in a called pocket, which can only be done after all of the balls from a player's assigned group have been cleared from the table. 9-Ball is a widely popular game, especially at the Harris-Stowe State University Student Center. The object of the game is to use the cue ball to knock all the ball into the pockets, in number order. When knocking the nine ball in to win the game.